Easter in New Orleans means several things: It means parades (including the French Quarter, Chris Owens, and Gay parades), a big Easter egg hunt in City Park, and brunch. It involves overdosing on chocolate and putting on funny pastel-colored hats. Easter means that Mardi Gras is now 40 days behind you, and that you can finally have a burger again. 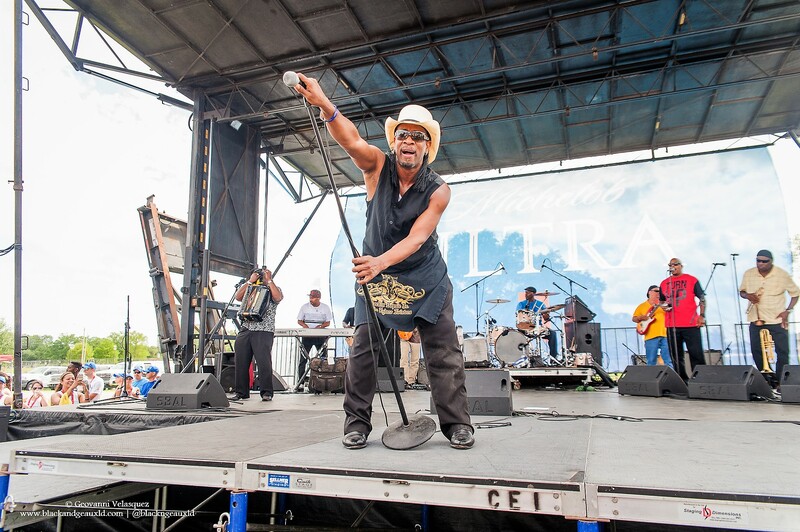 And, perhaps most importantly, it means that it’s Crescent City Classic weekend! 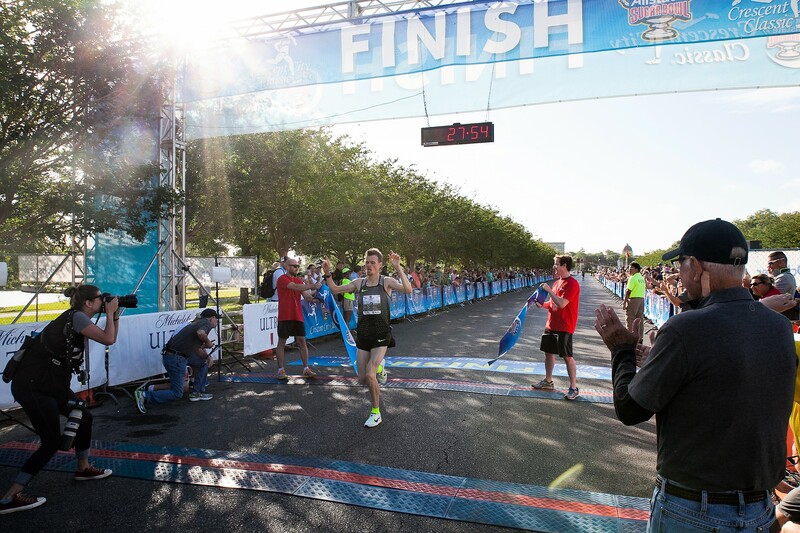 Held the Saturday before Easter every year, the Allstate Sugar Bowl Crescent City Classic (CCC) is probably the best-known 10k race around. 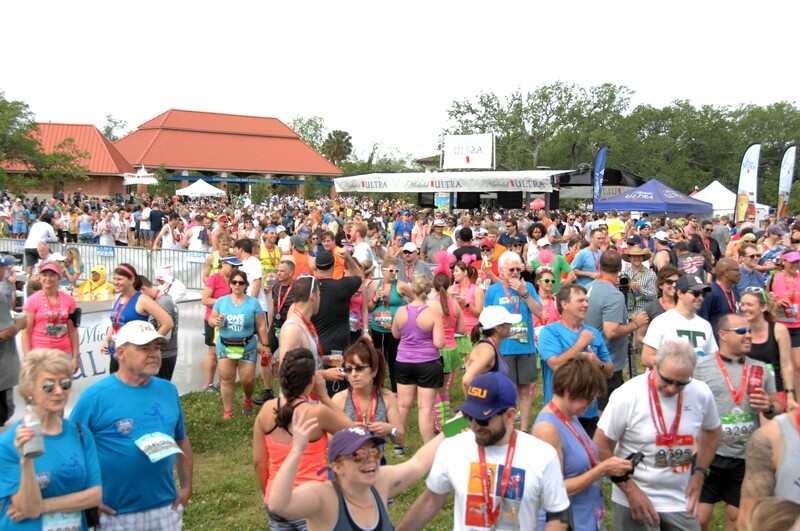 It’s also the largest road race in the country, when thousands of people come out to run or walk 6.2 miles and enjoy a little red beans and rice, Michelob Ultra, and live entertainment together afterwards. The CCC began in 1979 with just 979 runners and now brings in between 30,000 and 35,000 participants every year, from all 50 states and 18 different countries—some come from as far away as Africa, Russia, and New Zealand. This year is the 41st consecutive year of the race. Rinard’s bunnies are quick, tough, and amusing, and are available for purchase online. So, even if you don’t hop along fast enough to be among the top 500 finishers, you can still get yourself a copy of the poster—including one that’s signed, numbered, or comes with an artist-produced “doodle” on it known as a remarque. 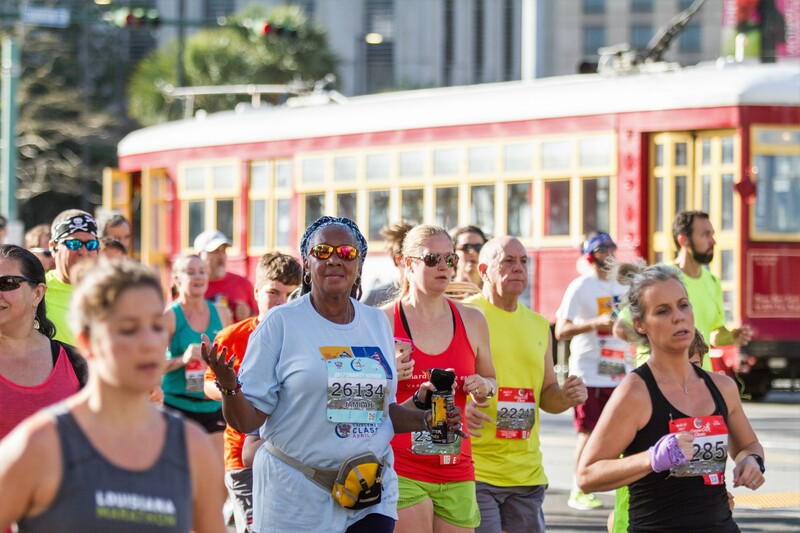 Running the Crescent City Classic 10k is not just good for your health, it’s also good for the community. The race raises lots of money for charity every year through participant fundraising. “We’re very proud that our fundraising through the Run For It Program grows each year, with last year exceeding over $1 million,” says Kristen. She explains that the organization is careful about where their donations end up, with the stipulation that all the money must stay within the Greater New Orleans area. That money is being put to good use yet again this year, with 24 different local charities receiving a portion of the funds. 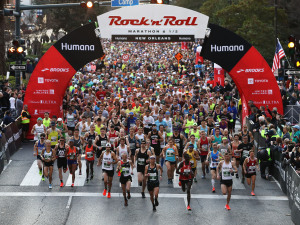 Along with the sheer joy of the giving spirit, charity runners and walkers also have the added bonus of getting to start the race toward the front of the pack. 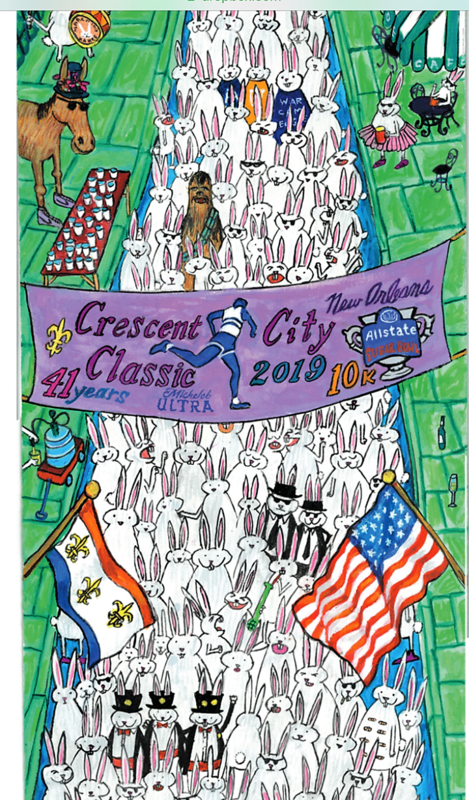 Jerry Lenfant and Wade Bolotte have run the Crescent City Classic all 40 years of its existence so far. 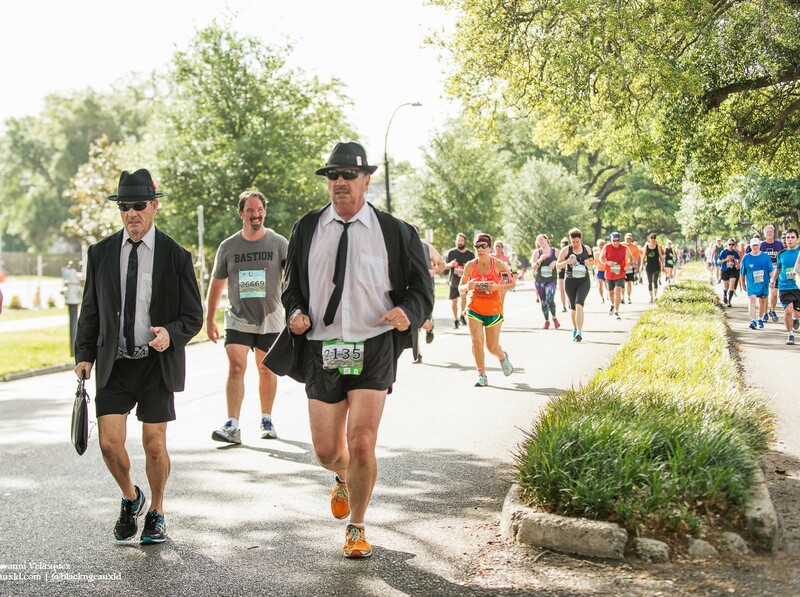 Together, they call themselves the CCC Blues Brothers, and each year, they run in full Blues Brothers garb. “[We] wear our black suits, white shirts, black hat and tie, sunglasses, and briefcase,” explains Lenfant. “Oh yeah, and black shorts.” When asked if they’ve done any fundraising for the event, Lenfant responded that they haven’t because they used all their money for bail. 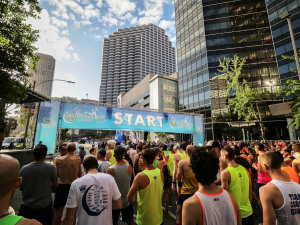 There are so many reasons to take part in the annual Crescent City Classic 10k run, whether it’s for the runner’s high, the live music at the after-party, or the beer, whether it’s to raise money for a good cause, to enjoy a nice spring run through town, or to get in a good workout before stuffing your face with jelly beans and Cadbury Eggs. But whatever it is that motivates you to sign up, this race is guaranteed to be a good time. The more than 30,000 people who come out for it annually must be on to something. 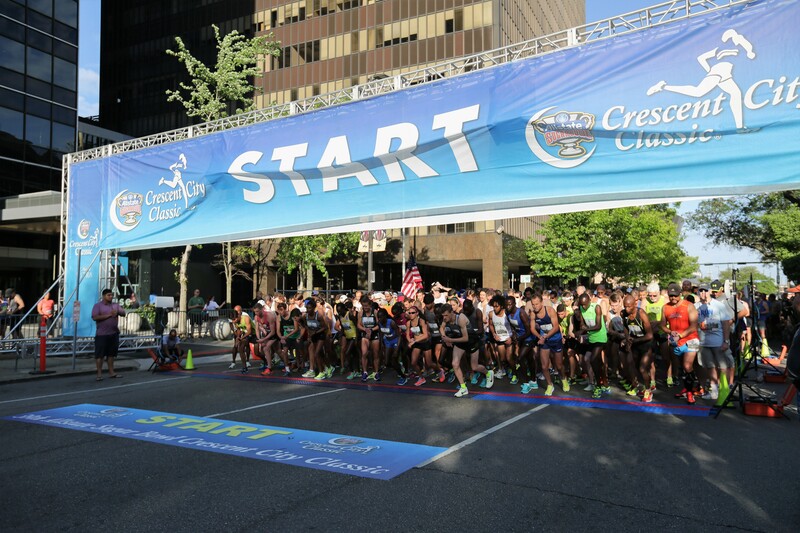 The Crescent City Classic will be held on Saturday, April 20, at 8 a.m. For more information or to sign up for the race, go to ccc10k.com/crescent-city-classic-10k.